Speed up your coil binding process with this time saver! 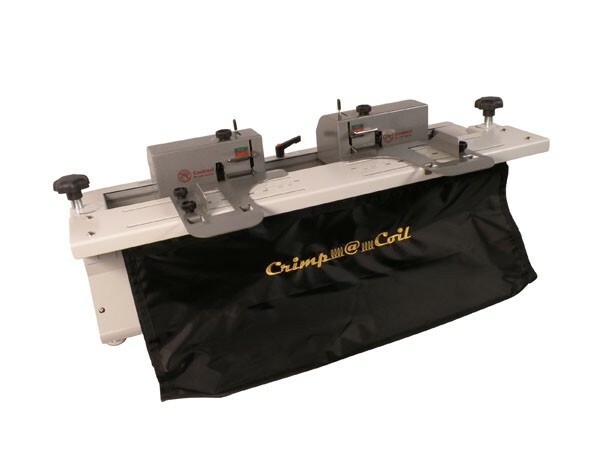 Akiles Crimp@Coil is an easy to use electric coil crimper that cuts & crimps a both side of the coil at the same time, preventing it from rolling back out of the holes of your document. Akiles Crimp@Coil’s unique design accommodates all coil sizes from 6mm – 50mm, without the hassle of interchanging any parts. Its simple 5-Step setup only takes the operator seconds to change coil or sheet size settings. Akiles Crimp@Coil is the ideal choice for high-volume binding facilities, as well as anyone who wants to avoid using manual crimping pliers during the coil binding process. Save time and money by ordering your Akiles Crimp@Coil today!